According to the recent NAHC Report, NAHC is encouraging every company that provides home care to complete a new survey on the ACA Employer Mandate and its impact on your business. From the article, "NAHC has prepared a new survey to get a “real-time” understanding of the likely impact of the ACA employer mandate. Home care businesses have made a number of adjustments to prepare for the start of the mandate. This new survey will create the opportunity for further evidence-based advocacy." 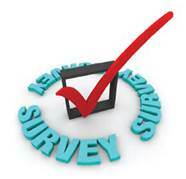 We encourage you to participate in the survey found here.